I have loved the magazine Mingle ever since I laid eyes on the first issue. It's visually stunning, shares beautiful stories and is full of incredible ideas for meaningful gatherings and events. It's truly such an honor to be included in the current issue and be able to share our story too. Alessandra Cave and I worked together on the piece, which was a treat in itself, and we couldn't be more thrilled with how it turned out. The images brought it to life and how grateful I am that Alessandra, Julia & my mom were able to capture the essence of this little retreat of ours for others to enjoy. I know I've shared this before, but I'm truly shy at heart so it's a funny feeling (and of course a thrill) to actually see it in print. As much as I love our online resources, not much replaces actually holding a beautiful magazine in your hands and turning the pages with your fingertips. It always feels special. It really does. 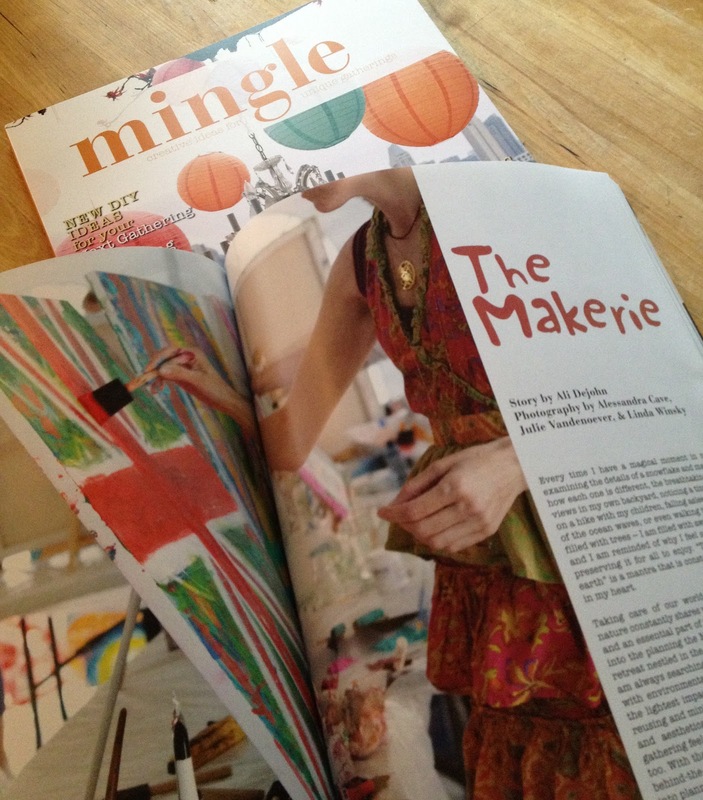 A most heartfelt thank you to Christen & Mingle for including us in their fall issue and invite you to take a peek if you haven't had the chance to check it out. It's just full of wonderful things! the 2013 makerie sewing scholarship!